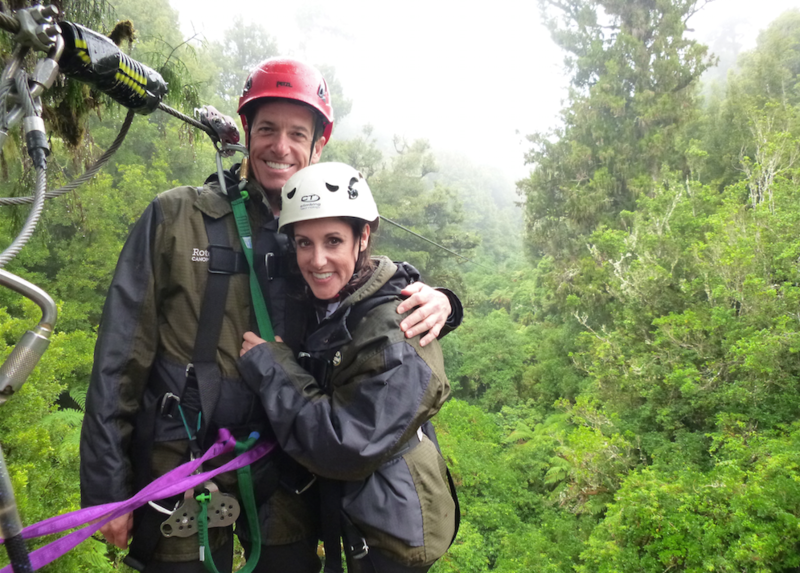 Here are our top five reasons why a Canopy Tour is heaps of fun in the rain. The deep emerald greens of the forest look their most impressive during wet weather. When it’s just been raining and everything is a little misty, it can often feel like you’re in an actual rainforest somewhere tropical. Picture this: You’re zooming down a 220 metre zipline with drops of rain running down your face, your lungs heaving with the cool, fresh air. It’s an awesome way to feel exhilarated! After 3 hours deep in a forest on a wet day, conquering the conditions really does make you feel most alive. Sometimes the best experiences are when you step outside your comfort zone. It seriously can't be beaten when it's one of the best family friendly activities to do in the rain. 4. Wet weather gear – we’ve got you covered! Our waterproof jackets & pants are high quality will help keep you warm and dry. You don’t need to worry about bringing a rain coat. When you’re in the right clothing, being out in the elements won’t worry you at all. When it’s raining, the canopy is an incredibly peaceful place to be. Watch the rain drops fall off the leaves, embrace the mist rolling in and soak up the beauty of mother nature in the rain – it truly is magical. Rain or shine, a Canopy Tour is one of the best things to experience when you’re in Rotorua and one of the best family friendly activities in Rotorua.